Ryokan Seifu-so is a 2-story wooden building situated beside the Matoba river in Matsumoto, Nagano. Relax and enjoy yourself in our spacious mineral-rich baths. It will be a real treat after a busy day of sightseeing!! 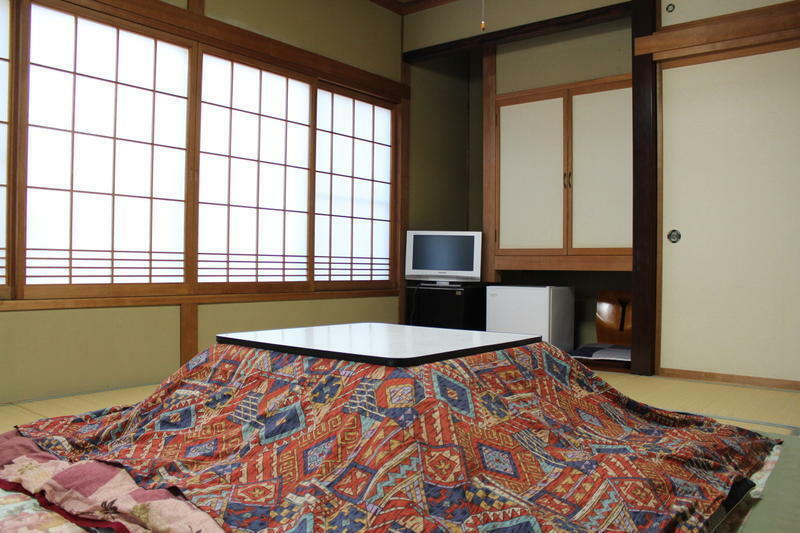 ?You can find very cozy and clean japanese and western style rooms with individual air-conditioning throughout Ryokan Seifu-so. En suite rooms are available on request. All our guest have access to communal showers and our relaxing japanese style mineral baths. Ryokan Seifu-so serves fresh, seasonal Japanese cuisine. A western style breakfast is available on request. Breakfast is 840 Yen (Japanese) or 630 Yen (Western). Vegetarian diets can be accommodated for also. In your room you will find a Yukata (cotton kimono robe), bath and face towels, soap, shampoo and hair conditioner, a Japanese Tea set with a thermos pot, hair drier, tissue paper, alarm clock, air conditioner and free CATV. A steam iron is available for free. Just ask at reception.? Spacious mineral-rich communal baths separated for men and women (private time is also available on request), dining room, vending machine, Web-ready PC, printer, fax and free parking. Bicycles are available for the use of all our guest free of charge (very handy for getting around the town and getting in alot of sightseeing). Located in a quiet riverside residential district outside the city center, Ryokan Seifu-so is your ideal base for your exploring what Matsumoto and its surrounding area of natural wonders has to offer. Matsumoto town centre is half an hour walk away but Ryokan Seifu-so have bicycles for the use of all our guests at no extra charge. Getting to the town and the famous Matsumoto Castle is easy as the road from Seifu-so leads straight into the town centre. 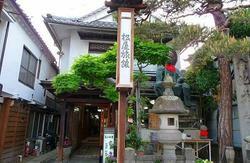 Minami Asama bus stop is just 2 minutes from the Ryokan and a bus journey to Matsumoto Station takes just 12 minutes. There are many restaurants close by offering a variety of cuisines from traditional Japanese to Western style (some with a unique japanese twist). A map of local eateries is available at reception with a list of restaurants including those with english menus.? Within walking distance from Ryokan Seifu-so are Matsumoto Castle, a national treasure and the historic former Kaichi Primary School dating from 1876. 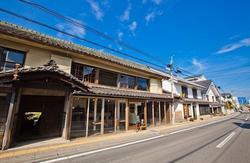 Ryokan Seifu-so is also only a ten minute cycle from Asama Onsen Japanese bathhouse and tickets are available at reception.There are many museums worth a visit in Matsumoto, including the folklore museum and the Matsumoto Museum of Modern Art. The Matsumoto Ukiyoe Museum is only a short train journey away. Like many Japanese towns, Matsumoto is host to many festivals like the Matsumoto Bon Bon in the first weekend of August and the Yozakura cherry blossom festival when the whole town turns out to see the cherry blossoms under the moonlight. A pick-up service from Matsumoto station is available. Please call us when you arrive. There is a bus terminal on the ground floor of the ARIO building opposite Matsumoto Station (on the right). Access to the terminal is through the ticket office in the basement of this building. Look for the stairs for the Number 2 bus stop. The bus is number 120. Board the bus from the rear. The fare is paid when you get off. There is a change machine by the driver and the fare is 240 yen. The stop you need to get off at is Minamiasama. Listen to the automated announcements for this. Pay your fare into the clear plastic box beside the driver. Once off the bus walk back towards the town and take the first right. Turn Left at the river and you will find the blue and white sign of Ryokan Seifu-so on your left. Taxis are readily available in front of Matsumoto station. Tell the driver minami-asama no metobagawa zoi no ryokan seifu-so. The ride takes about 10 minutes and costs between 1300 to 1500yen.